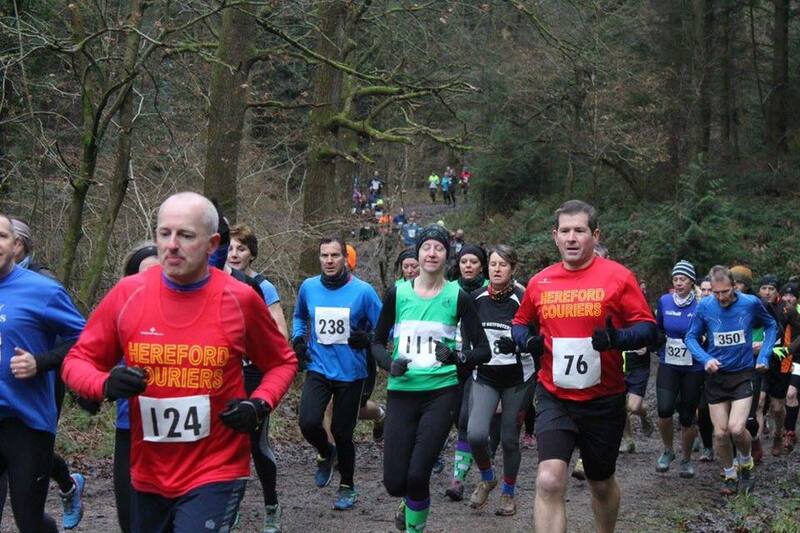 There were a number of races this weekend which meant Forest of Dean AC runners were split over a number of events: Muddy Woody 6, Dursley Dozen, Gwent Cross-country league and the Pen Tir Drop fell race. The Muddy Woody 6 is an organised by Wye Valley Runners and is basically what it says: 10k along muddy single tracks through a wood at Woolhope near Hereford. The race is very popular with its 300 places selling out quickly. The winner was Eliot Taylor of Hereford Couriers in 42.32. First FODAC home was Dan Sandford, 5th and 1st MV40 in 46.12, followed by John Russell 51.24 and Michael Marks 57.42. The ladies winner was Danca Machackova of Wye Valley Runners, 25th overall in 50.54. First FODAC lady was Helen Lipscomb in 63.08, followed by Sherryl Hall, 1st FV50 in 65.25 and Jo Edwards 68.08. Other times: Matt Bond 60.20; Jim Storrar 60.48; Chris Moore 63.07; Jason Ross-Collins 67.42; Sue Shergold 69.22; Mel Ruck 70.03; Daren Smith 70.04; Salli-Ann Milward-Byard 70.44; Tony Pownall 71.20; Chris Hawkins 72.51; Neville Turner 73.25; Vicky Sims 76.46; Anna Freeman 76.51; Jo Babij 79.22; Vanessa Pegler 81.18; Karen Barnett 83.28. The Pen Tir Drop Fell Race covers 4.2 miles and includes 1064ft of climbing (and descent) and saw 51 runners head off into cold, leaden skies above Cwmdu onto Pen Tir Hill. On the top, an inch of snow brightened the windswept surroundings to the turnabout at the cairn. 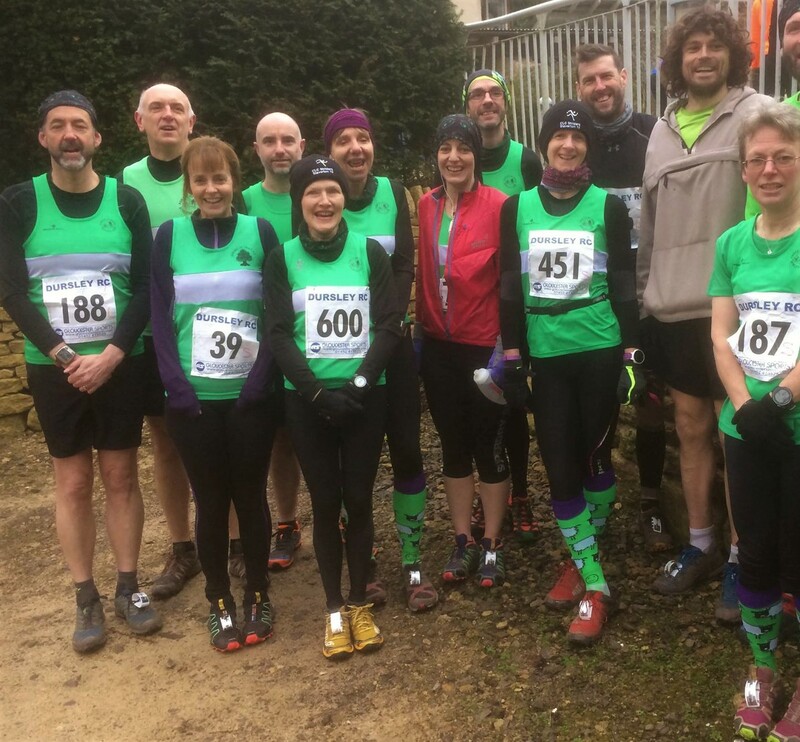 The wiser runners reversed the route back whilst others followed a less-sensible option through a briar patch and were lacerated for their efforts. A muddy descent, then a short road blast to the finish at Cwmdu Hall and cake followed. Dan Sandford left the Muddy Woody without collecting his prize and was 11th in 35.44. John Hamilton was 2nd overall and 1st U23 male in 32.12. The only other FODAC runnner was Andy Horlick, who finished in 39.45. The winner was Sam Gregory in 31.38 and first lady was Katie Beecher in 36.51, both race records. Over in Stroud, the ever-popular Dursley Dozen saw 468 starters including 12 FODAC runners. This race covers some 12 miles up and down the Cotswold escarpment. The winner was Chris McMillan of Weston AC in 1.19.33. First FODAC was Julian Boon, 37th in 1.38.22, followed by Wayne Bevan 1.43.50 and Scott Berry 1.47.26. First lady was Annabel Granger of Bristol & West AC in 1.31.15. First FODAC lady was Catherine Roberts 1.52.56, followed by Cherry Fowler 2.03.35 and Jacqui Wynds, 1st FV60 in 2.12.14. These three were also 3rd ladies vets team. Other times: Brian Francis 1.58.52; Simon Roberts 2.02.58; Graham James 2.02.48; Kate Burke 2.14.08; Anna Bevan 2.16.00 and Stef Francis 2.18.16. After completing the Dursley Dozen, Julian Boon and Scott Berry headed over the Severn Bridge into Wales to take part in the Gwent League Cross-country at the Glebelands, Newport. Mick Strange was first FODAC to finish, followed by Julian, Scott and Alan Robertson. 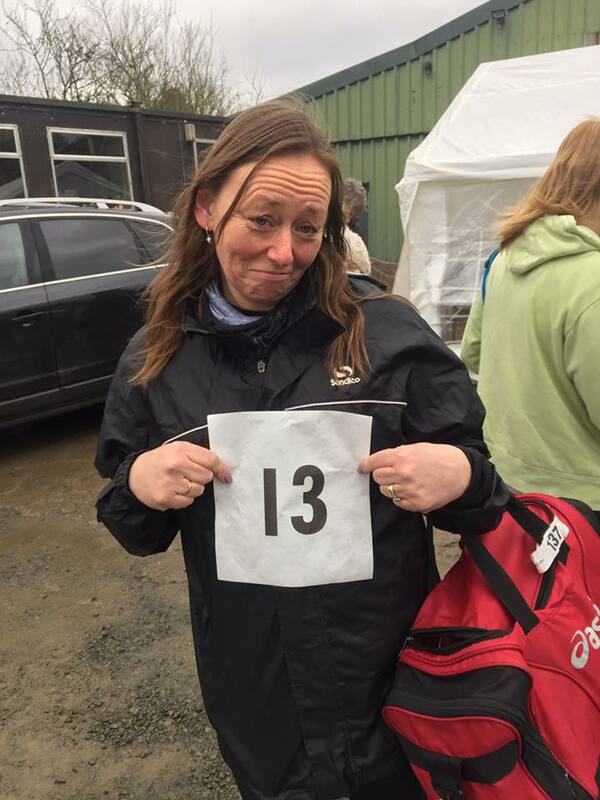 The sole ladies representative for FODAC was Lynne Park, who had her best cross-country of the season following a long spell of injury.